Diving enthusiasts can be found in any corner of the world, especially in the areas which have beautiful shorelines. Dubai also has an excellent coast line therefore several diving centres are operational in this state of United Arab Emirates. Al Boom Diving is one of these diving centres of Dubai that has a decent repute in this line of business. This diving centre offers diving and snorkelling deals on different locations of the city. In addition to this, they also have the biggest team of trainers in this state, who train people through different courses. This list of courses also includes two PADI courses that no other diving centre is offering. Their attributes don’t just end here, as they also provide top-notch salt water training facility and range of quality equipments too. Al Boom Diving also has the largest diving boats flotilla that along with other first-rate facilities have made this diving centre one of the leading names for such activities. So whether someone is looking to begin diving, perk up their experience through training or seeking some underwater adventure, Al Boom Diving is the centre where they should head to. Besides this they have dive centres in top hotels or leisure sites of Dubai, which will also give their clientele a remarkable experience that they never had before. One of these top rated experiences include dive in the Shark Tank that is to be found in the Dubai Aquarium & Underwater Zoo at the Mall of Dubai. This exclusive experience can also be availed through Al Boom Diving, as it is not offered by any other diving centre in this country. Al-Boom Diving offers various diving deals along with snorkelling trips to the people of Dubai on different locations. Their head office is to be found in Al Quoz locality of Dubai and locations where people can visit for diving or snorkelling are: The Aqua Centre at Al Wasl Road, The Dive Centre in Atlantis The Palm, The Dive Centre in Jebel Ali Golf Resort & Spa and The Dive Centre in Dubai Aquarium & Underwater Zoo. Aside from deals, this venture also proffers courses at various centres, which includes full range of PADI courses too. Plus they also offer one day trip to Musandam up to five experienced divers. Al Boom Diving offers various underwater adventures like this, so one can also get in touch with them to plan an exciting activity. 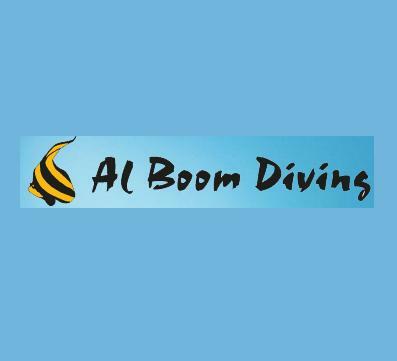 As far as their products are concerned Al-Boom Diving has an extensive range of equipment that is available at their retail shop. The operational hours of The Aqua Centre on Al Wasl Road are from10:00 am to 8:00 pm between Sunday and Thursday, whereas on Friday and Saturday it remains open from 8:00 am to 6:00 pm. Head office at Al Quoz remains open from 10:00 am to 8:00 pm between Saturdays and Thursdays, while on Fridays this site remain close. Dive Centre in Atlantis The Palm on the other hand open on all days of the week and its operational hours are from 8:00 am to 5:00 pm. Their centre at Jebel Ali Golf Resort & Spa opens from 9:00 am to 6:00 pm between Monday and Saturday, while on Sunday it is closed. The centre at Dubai Aquarium & Underwater Zoo also opens on all days and its opening hours are from 12:00 am to 8:00 pm. Al Qouz- Dubai - United Arab Emirates. Al Boom Diving is located beyond 2.5 kilometres range from the nearest metro station therefore visitors cannot get to their head office on foot. So car or bus are the best options in this case to get to this establishment. 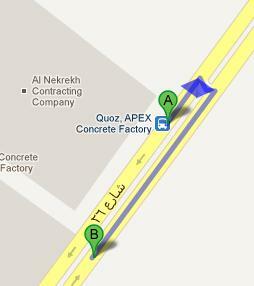 Bus number 21 and F25 are serves Quoz, APEX Concrete Factory – Dubai bus stop that is hardly 4 minutes walk and 300 meters journey from Al Boom Diving’s head office in Al Qouz, Dubai. To cover this journey in 4 minutes bus users should head in the northeast direction on 26th Street, then turn right towards 26th Street and afterwards make another turn on the right side that will lead the pedestrians onto 26th Street, from where destination is not too far. View map for directions.